Research highlights the importance of nutrition and diet on our health, but how can you reliably find out which components are contained in foods?  The BBSRC-supported Food Databanks National Capability (FDNC) at the Quadram Institute is here to help. This video will give you an overview of the science we carry out in Food Databanks National Capability. FDNC compiles and publishes data on the composition of foods eaten in the UK. As well as providing the nutritional information for food labelling, the data underpins research at the Quadram Institute, across Europe, and beyond, into the links between diet and health, whilst also helping to inform policy to promote a healthy lifestyle. FDNC provides two different, but interconnected databases, one on nutrients and the other on bioactive compounds. These databases are established as independent and trusted resources with 50,000 international users from academia, healthcare, industry and government. The databases and our expertise are used in a variety of national and international projects and collaborations. The Nutrient Composition of UK foods database describes foods eaten in the UK in terms of their macronutrients, e.g. fats, protein, carbohydrates as well as their micronutrient content, which includes vitamins and minerals. The data are published in book form as McCance and Widdowson’s The Composition of Foods, as well as online. 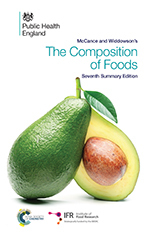 A knowledge of the chemical composition of foods is the first essential in the dietary treatment of disease or in any quantitative study of human nutrition” wrote McCance & Widdowson in the 1st edition of ‘The Composition of Foods’ and that remains true to this day. FDNC also develops and maintains eBASIS, and ePlantLIBRA; databases of non-nutrient bioactive compounds with putative health benefits in foods. eBASIS provides information from published literature about non-nutrients (bioactives) with putative health benefits, or detrimental effects in humans, and weighs the quality of the information according to peer-reviewed evidence.